Luxury brands -- think Louis Vuitton, Ray Ban, and Rolex --are popular with counterfeiters, but so is Nike. And fakes aren't just a problem for large corporations. When you're an entrepreneur, it's common to worry that your novel idea will be copied or stolen. Those fears are mostly unfounded--unless, it seems, you're a maker of footwear. That's right: Shoes are the most counterfeited products in the world. Nike, in fact, is the most knocked-off brand, according to a new report from the Organization for Economic Cooperation and Development. The OECD results, based on data gathered between 2010 and 2013, finds that Louis Vuitton, Ray Ban, and Rolex are also popular brands with counterfeiters. Yet worryingly for entrepreneurs, the new report, "Trade in Counterfeit and Pirated Goods," notes that large corporations are not the only targets for counterfeiters. Small and medium-sized enterprises across industries and countries are victims of counterfeit, and many do not have the resources to fight against it. Any product in luxury or basic sectors whose value is increased through intellectual property is a target, according to the report. The total value of imported counterfeits was estimated to be $461 billion a year (based on about half a million global custom seizures between 2010 and 2013)--representing 2.5% of global imports. For comparison, the drug trafficking trade was about $430 billion in 2013. Perhaps because of the high level of desirability for American brands, the study also found that the United States was the country with the most intellectual property rights infringements. 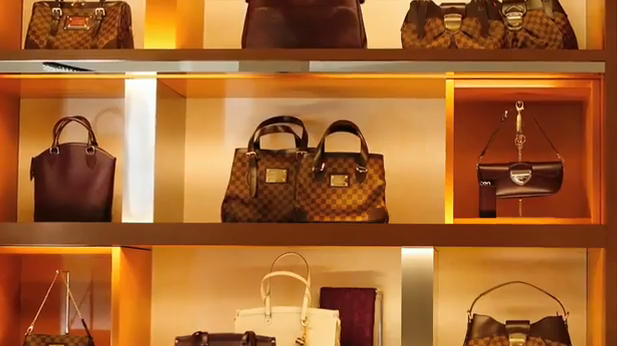 Second and third in popularity for counterfeiters were Italian and French brands. Not surprisingly, most counterfeits originated in China (including Hong Kong), which accounted for 63% of customs-seized products. Turkey was the second largest with 3% of the fake goods seized. Mail packages represented the top method of shipping the counterfeited items, highlighting the growing importance of e-commerce in international trade. "[Counterfeiters] take advantage of our trust in trademarks and brand names to undermine economies and endanger lives," said OECD Deputy Secretary-General Doug Frantz.